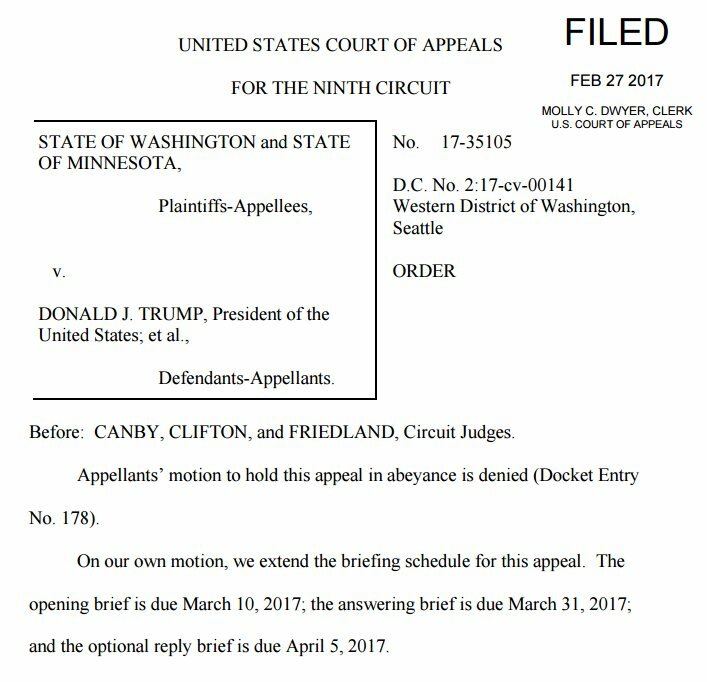 Feb. 8, 2017, 7:23 a.m.
President Trump accused federal judges Wednesday of playing politics by suspending his travel ban and forcefully went after the appeals judges who are deciding whether to uphold that decision. "It’s a sad day," Trump said. "I think our security is at risk today, and it will be at risk until we get what we are entitled to." Speaking to a gathering of police chiefs in Washington, Trump put on a highly public show of trying to sway the judges. They heard arguments a day earlier in the lawsuit over his executive order suspending all refugee admissions and canceling visas from seven majority-Muslim countries.